A fat cat lazily waddles from side to side causing many people affection and admiration: "Oh, how lovely, how it should be liked by the owners, full-fed with tasty food !". Fat cats in the hands of the fragile mistresses are the most popular subjects for thousands of photographs on the pages of entertainment sites. In addition, obesity is a very common problem faced by modern pets. Because of the strong love for our younger brothers, we sometimes overdo with love and care, and as a result of it, the pet has become like a Bun. 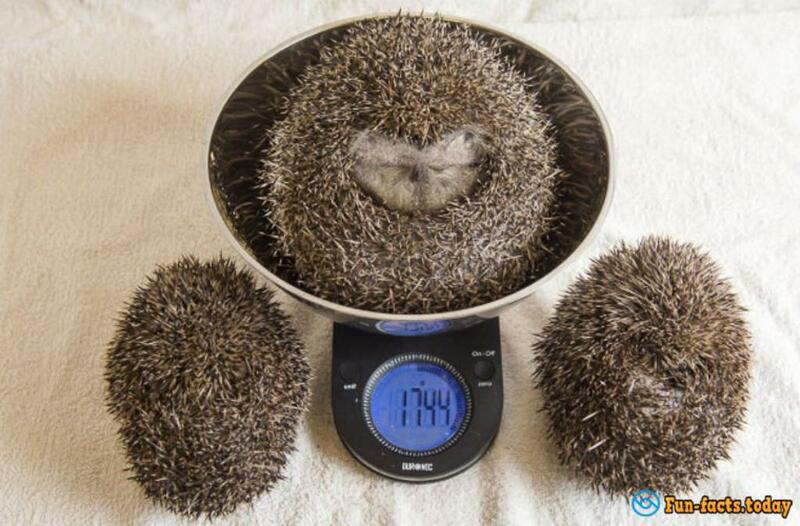 Two-kilogram hedgehog was put on a dietary nutrition feed clinic for wild animals Tiggywinkles at Buckinghamshire UK. In the clinic, he will live as long as its weight is reduced to one thousand grams. "This big fellow is now on a dietary nutrition for today he has lost about 281 grams, and he is still necessary to pass the long way to reach his ideal body weight a little less than 1,000 grams," said the founder of the clinic Forest Stoker. Nobody knows what the reason is that hedgehog put on so much weight in the wildlife. Pursuant to one version, he was fed with dog food. At the same time, according to veterinarians, the hedgehog is completely unable to control the amount of meal absorbed by them. In the clinic Tiggywinkles, specialists will ensure that the hedgehog was subjected to loadings, and eats right. Once he reaches normal weight, he will be sent to the wild nature. Earlier it was reported about a hedgehog nicknamed Hogzilla that was placed in an English nursery Wilshire on a diet. He was so thick that reached the size of a football ball and could not curl up into a ball. Hog Zilla was so fattened by its former owner.